The Grange’s annual Bluegrass Concert is Saturday, May 11, 7:00-9:00 PM. We welcome “Rusty Hinges Bluegrass Band” to our stage. Each member of Rusty Hinges is a veteran of the Pacific NW bluegrass scene. Their collective experience results in a musical program that is polished and entertaining. 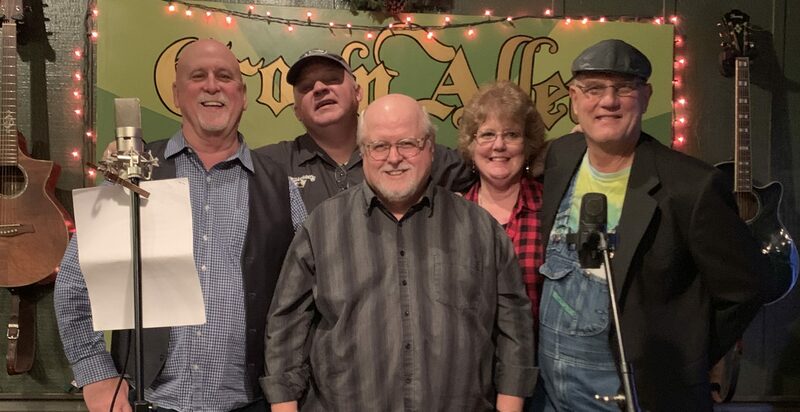 Band members are Ron Clark on mandolin, Jan Delfel on bass, Bryan Chaffe – vocals and lead guitar, Al Price – vocals and banjo and Jim Delfel – guitar and vocals. Doors open at 6:30 pm, the band takes the stage at 7:00 pm. The hall is located at 1361 Ballard Hill Rd, about 8 miles NE of Cle Elum near the intersection of SR 970 and Teanaway Rd. Admission is $10, kids under 12 years of age are free, desserts will be provided.